You know when you buy a plot of land that you *think* could one day be mined for gold but in the back of your head you know it’s unlikely? And then one day – out of nowhere – you dig a sample hole and BAM! It’s gold, gold, gold? That’s how these protein bars were. See, the first time I tried combining the ingredients you’ll find below, I thought the end product would most likely be disastrous. But I tried it anyway because, at the same time as I convinced my idea would fail, I also thought there was a chance (a tiiiiny chance) that it might succeed. And boy oh boy. Man oh man. Beast OHHHH! Beast! 1. Chuck all of the above ingredients in a food processor, all of them except for the dark chocolate. 2. Blend them all together until you get a smooth dough. Taste it to ensure it’s sweet enough. If it isn’t, add a bit more coconut sugar or your sweetener of choice (e.g. sucralose, stevia, or a bit of agave). 3. Shape this dough into 5-6 bars. If your mix is too wet to allow you to shape it into bars, add a bit more cocoa powder under you get to the right consistency. 4. Melt your dark chocolate in a bain marie and, once melted, pour the chocolate onto the bars – first coating one side and then the other. 6. Put the bars in the fridge for a couple of hours or the freezer for 30 minutes so the chocolate coating sets and… WOHOHOA! They’re ready to munch. Macros per bar (out of six medium/small ones): 156kcals, 11g protein, 8g carbs (out of which 7g is fiber!!!!) and 8g fat. 1. Black beans are packed full of phytonutrients, fiber, minerals and vitamins (check this out). 2. They’re high in protein. 5. You can NOT taste the beans at all. 6. They go INCREDIBLY well with chocolate! 7. They’re a great way to bring your kcals and fats down. 8. Using beans in your bars enables you to make them nut-free! 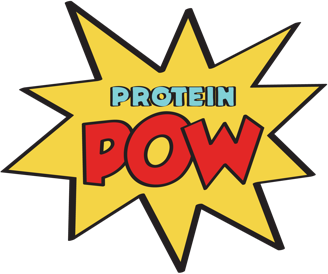 PS: As I wrote on FB, if anyone would like to buy a signed copy of the new Protein Pow cookbook directly from me (if, say, you’re getting it as a gift for someone who would like a dedicated/signed copy), just let me know by emailing me with the subject heading ‘SIGNED POW.’ I don’t normally handle the sale of the books myself (because personally shipping them would take up all my waking hours and the books are already sold in most major bookshops and online retailers worldwide) but am happy to arrange for any special deliveries you may need, especially in the lead-up to the holiday season!